Our Painting of Edward VIII is Front Cover of The Windsor Historical Society Magazine! Our Painting of Edward VIII is Front Cover of The Duke & Duchess Windsor Historical Society Magazine! A few months ago you would have seen Fabulous Masterpieces’ painting of Edward VIII being unveiled on Channel 4’s The Restoration Man. We were commissioned by a couple who are currently restoring a huge mansion in Wales and asked to paint 6 oil paintings of historical figures who had actually stayed in the house ranging from great British Prime Ministers such as Churchill & Gladstone to royalty such as Queen Victoria and Edward VIII. Fabulous Masterpieces’ painting of Edward VIII has now been picked up by The Duke & Duchess of Windsor Historical Society and is front page of their magazine! To have a look please follow the link. Fabulous Masterpieces’ Edward VIII Front Cover & Story! If you’re interested there’s also the whole story of how the painting of Edward VIII came about with pictures of the house and our artist’s mock ups of Edward VIII. It really is a good read! What’s so special about Edward VIII? Edward VIII (1894 -1972) is an interesting character as he actually abdicated the throne for love! He is also one of the shortest-reigning monarchs in British History (he was king for less than a year and was never crowned). After Edward VIII’s abdication, he was titled Duke of Windsor. 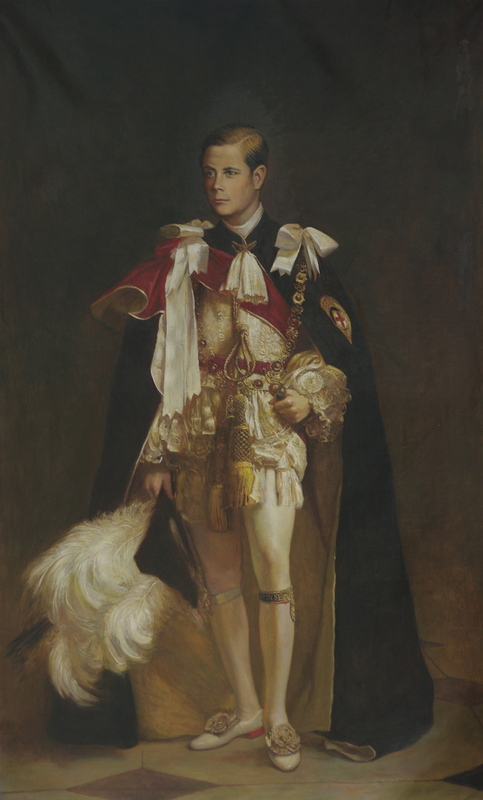 Our painting of Edward VIII was actually painted when he was Prince of Wales, he was officially granted that title in a special ceremony held in 1911. “The Restoration Man” is a television series on Channel 4 presented by architect George Clarke. Clarke gives advice and help to homeowners across the UK who have undertaken huge restoration projects of historical houses, stately homes and other architectual gems. Fabulous Masterpieces was contacted by Mr & Mrs Edwards, who were featured in Episode 9 of the series, to paint ancestral portraits and portraits of historical figures such as Gladstone, Churchill and Edward, Prince of Wales, all who had actually stayed in their 70 room mansion in Wales that they are restoring. Fabulous Masterpieces’ portrait of Edward VIII was shown on the programme with George Clarke who exclaimed: “That’s fantastic” and Mrs Edwards proclaiming: “We’re absolutely delighted with it…” “We’re delighted with that quality”. “That’s the first of many” says Mr Edwards. To read more about The Restoration Man please click here and visit the Channel 4 website.